"Boys often join the Scouts to learn how to be men. The Scouts have been effective in helping countless boys make the transition to manhood, especially those who lack male role models. But when a scoutmaster or older scout abuses a boy, it is a betrayal at a most profound level. Rather than bolster his self-image as a young man, the abusive experience undermines his sense of masculinity, and in his own eyes may render him no longer male. If the Boy Scouts handle the matter by stonewalling, denying the reality of the trauma, or coercing him into silence, the injury is severely compounded." After the scandals at Penn State it is abundantly clear what happens when adults in authority choose to look the other way; protecting themselves and their institutions rather than protecting the young men and boys in their care. Organizations that take responsibility for the welfare of others should not be allowed to place their own interest ahead of the safety of those they have a duty to protect. MaleSurvivor calls on the Boy Scouts of America to publicly acknowledge the mistakes of its past practices and commit to establishing clear standards for reporting accusations of abuse to the proper authorities. 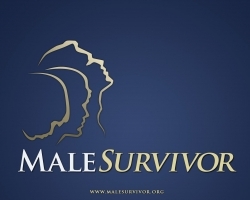 MaleSurvior (www.MaleSurvivor.org) the nation's preeminent resource for male victims of sexual abuse, is committed to preventing, healing, and eliminating all forms of sexual victimization of boys and men through support, treatment, research, education, advocacy, and activism. Current research suggests that more than 1 in 6 men have been the victims of sexual abuse at some point in their lives. The long-term effects of sexual abuse include depression, anxiety, inability to trust others and form healthy relationships, as well as putting victims as far higher risk of substance abuse and suicide. But with support, healing is possible. Please go to www.MaleSurvivor.org for more information.